02 Feb. 19, Ranchi – Lifesaver Air Ambulance is proud to announce an Air Ambulance in Ranchi with BiPAP capability. You may get different types of patient transfer service but the way we provide patient transportation is unparalleled. We are the leading Air Ambulance operator and successfully transfer critical patients from multiple cities on daily basis. 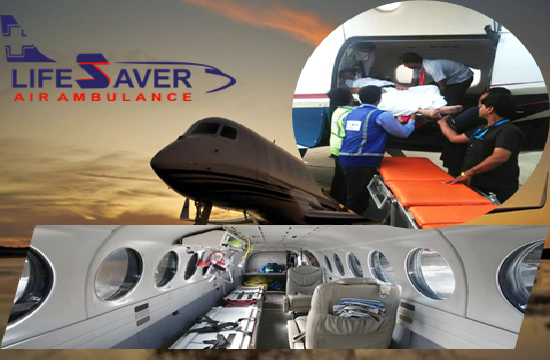 With the compelling requirement of the patients Lifesaver Air, Ambulance management has decided to provide the most sophisticated patient transfer service from Ranchi today. We have upgraded our ICU equipment recently with latest and technologically advanced facilities. In the process, we have brought LTV ventilators with BiPAP capability which is perhaps first of its kind to be used by any Air Ambulance operator in India. The machine is quite comprehensive and efficient. With complete automated functionality it’s like a switch and forget as the rest is done by its own. The best part of this ventilator is that it can be effectively used for an infant, pediatric and adult patients of all age and gender. Air Ambulance operations are generally for few hours duration. For the safety of the patient, you need to have the most effective ventilator on the Air Ambulance. The new LTV ventilator with state of the art BiPAP capability can help you stabilize the critical patients easily. With the launch of Air Ambulance in Ranchi with BiPAP, the patients are definitely going to get an advantage. Lifesaver has decided to provide this service at quite an affordable price. If you want to transport critical patient under the safe and stable ICU setup with this revolutionary ventilator then call our advisers any time. 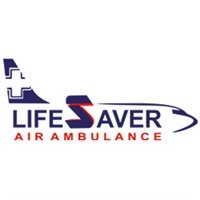 Lifesaver Air Ambulance has a huge pool of health care specialist who possesses vast experience of their field. If you want patient transfer from Jamshedpur then call now to avail an Air Ambulance in Jamshedpur equipped with this world-class BiPAP ventilator.